Hello all! Many of you may know me from reading my blog, WorthyStyle, but if you haven't, how do you do? Kate is the writer of all things nautical, so to fill in her shoes for a guest post meant racking my brain over the best things nautical that I know. I thought with summer just around the corner, it might be fun to share my sailing-oriented summer camp with you. 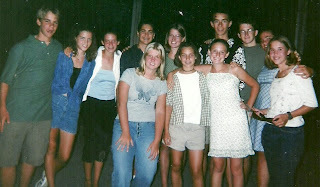 I have written previous posts about Camp Seafarer for Girls: here, here, and here. Clearly, I loved attending camp when I was younger, as well as returning to be a staff member while in college. I currently assist them with fundraising efforts for their annual fund. Ways to launch yourself from Camp Sea Gull Camp Seafarer on Vimeo. 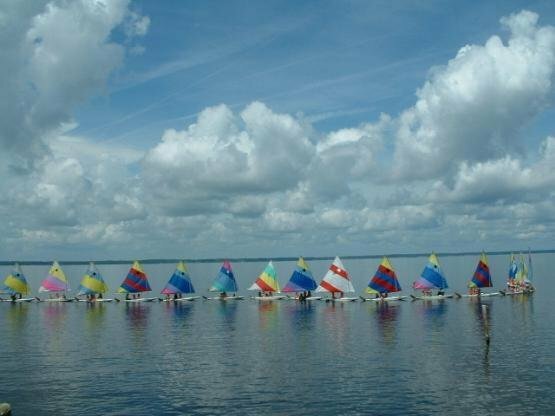 Camp Seafarer is one of those once-in-a-lifetime places. It was my respite from being bullied almost constantly during my awkward early teenage years before I went to boarding school. This was my summer boarding school! I learned and re-learned activities every summer - sailing and motorboating were my favorite activities, but I also exceled at canoing and continued to work on my horseback riding skills. Sailing and Motorboating fleet from Camp Sea Gull Camp Seafarer on Vimeo. Seafarer is a place where you get up early, and can often get away with staying up late (as long as you stay in your bunk)... reading love letters by flashlight from your Johnny Sea Gull, writing letters to your parents and reading ones from them, or reading some trashy romance novel your bunkmates got you for a birthday present while on Long Cruise in Atlantic Beach, NC. gave you with activities, you hated wearing those middie blouses in 80 degree weather (the only day of the week we had to wear them, too!). Cabin Tours from Camp Sea Gull Camp Seafarer on Vimeo. You would learn while watching your counselors how to mismatch your bikinis so they still somehow looked fantastic. And as a counselor you would study the Long Night off, Short Night off, and Long Weekend schedules like a hawk to calculate where you could go and what you could do in different time frames (Virginia Beach for Dave Matthews Band concert versus New Bern for dinner and movies versus Kure Beach to surf). Jeeps from Camp Sea Gull Camp Seafarer on Vimeo. I could go on and on about Camp. I love sailing, it is my life. If I hadn't found Camp, I probably would have been a book worm and stayed indoors for the rest of my days. I had been sailing with family before, but never on a boat with a partner or team of peers working on a Sunfish or a Flying Scot. You learn lessons when you are by the sea. How to be independent, how to read the sky to determine the weather for the day, how to fix lines and equipment, how to work as a team, how to be a good friend. Need to find a summer camp for your son, daughter, or place to work during the summer between college semesters? Check Camp Seafarer for Girls or Sea Gull for Boys out! This is awesome. I always wished that I got to go to camp as a kid. I'm definitely sending my boys when they're old enough! Thank you for letting me guest post, lady!